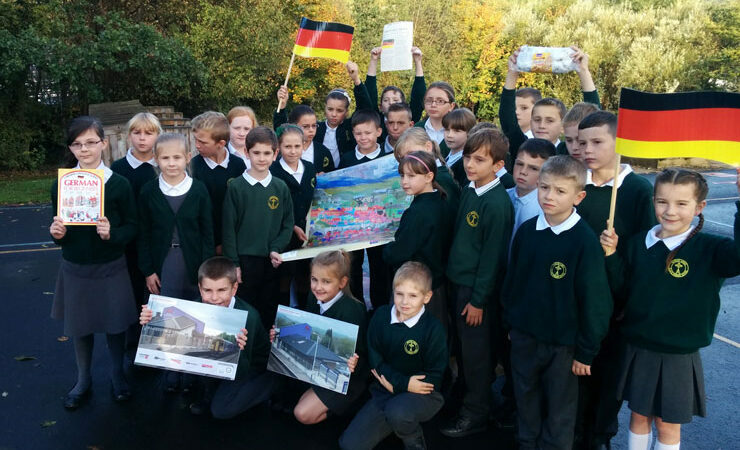 School pupils who welcomed Citizens’ Rail partners to Burnley during the summer are soon to make the return trip – embarking on an adventure to the German city of Aachen. In July, the Year 5 class from Padiham Green CE Primary School greeted Citizens’ Rail partners from France, Germany and the Netherlands at Burnley Manchester Road station. They performed a play about the history of the area’s railway (complete with historical top hats and moustaches – see photos), followed by presentations about what they had learned about each of the partner regions. The children also created a wide range of railway-related artwork, which adorned the station’s new community room. 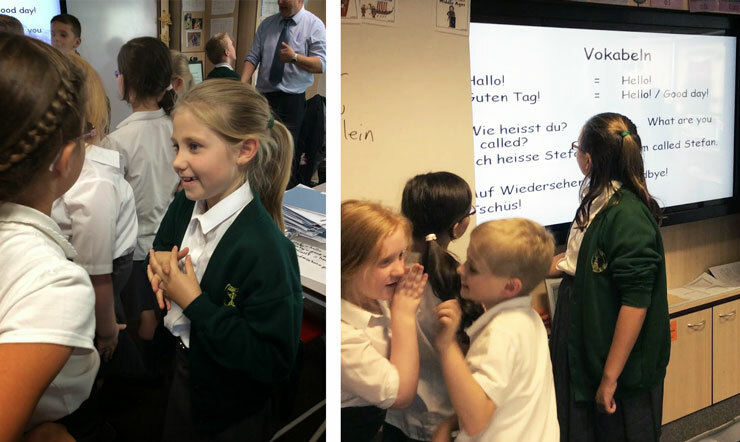 To prepare for the trip, the children have been taking after school German lessons (see photos below), and their adventure has captured the interest of the town. 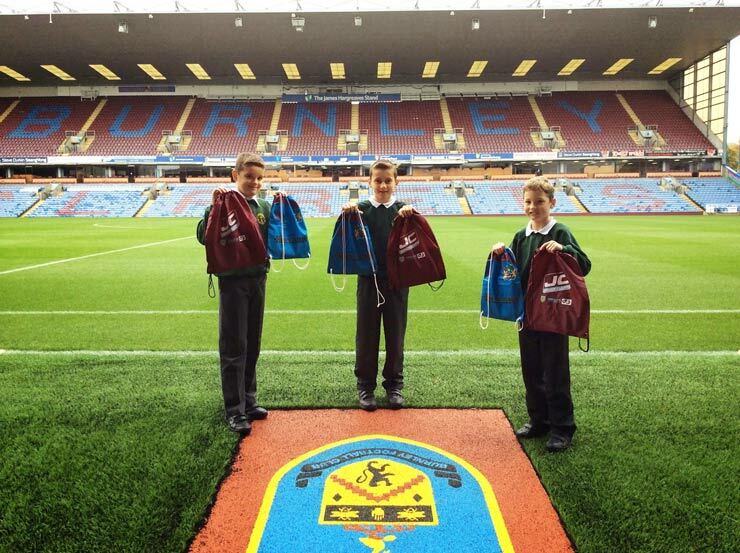 The Lancashire Telegraph newspaper recently paid a visit to the school to find out more, and Burnley Football Club invited the children to the stadium to collect a large selection of goodies. The class are now fully equipped with pencil cases and stationery, key rings, door plaques, back packs and beanie hats for the upcoming trip, and even have enough to present to their European school friends too. The children have been busy raising funds through various events at school to contribute towards the visit. Additional funding for the trip is being provided by Citizens’ Rail, the DCRDF Fund, UK German Connection and Abellio. Follow the children’s preparations for their trip on their fantastic blog.